Balance... life is all about balance. Many times that balance becomes skewed as one thing or another is thrown into the mix, but somehow our sense of balance always seems to return. Now that Christmas is over, the shopping done, the cooking and baking done, the cards, wrapping, decorating and planning done, and the New Year has arrived, I find myself happily awake just as the sun is peeking its warm self over the horizon - and I'm welcoming the return of balance. Two warm balls of white Maltese fluff are warming my lap as the rest of the family sleeps in, and I've spent a fabulous hour reminiscing about my year of Living Life. Doing our best to Liv Life to its fullest, we've done a pretty darn good job and we've eaten well along the way. Raising two teenagers, I've worked hard to maintain a nice balance of "fun food" along with healthy variations. Frequently I've fooled them (especially Liv...) into thinking a recipe is "a total treat", when in fact that recipe is filled with whole grains, lower sugar and fruits or vegetables. Keeping the balance, decadent treats have indeed been thrown into our mix, but not without tastes of new (to us) vegetables and main dishes. As I do every year, I've enjoyed perusing our Top 10 statistical posts along with my personal favorites that didn't make the statistical cut. Similar to last year, our stats are a touch out of balance, but do indeed show nearly identical trends. 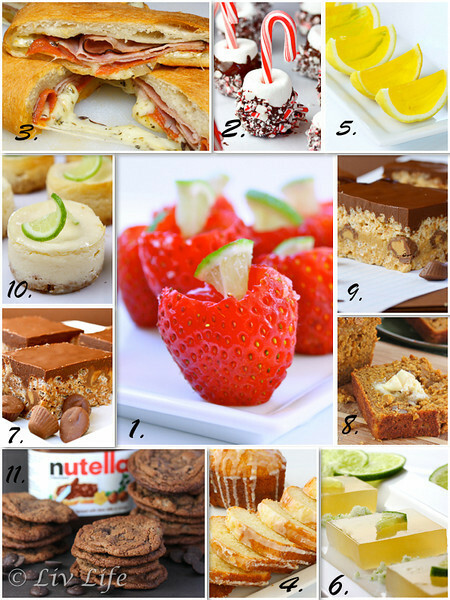 Sweets are definitely favorite posts as we don't find a real meal until number 21. Rice Krispies, Peanut Butter and Tequila seem to ring well with our audience, as well as my girlfriend Becky's Stromboli which is making it's Statistical Top 10 appearance for 2 years in a row. With accounting and statistics in my blood, I'm fascinated with the paths of these posts and what makes them popular. The invention of Pinterest has most definitely driven much of our stats with those Strawberry Margarita Shots earning rave reviews while garnering over 625,000 all time visits. I've been thrilled with numerous emails telling me how much the shots have been enjoyed, followed shortly by emails about the Candy Cane Marshmallow Pops which seem to have been put together by many a room mom around the country this holiday season. While treats may have filled our statistical Top 20, Number 21 on the Statistical List brings a family favorite, Asian Sesame Salmon. 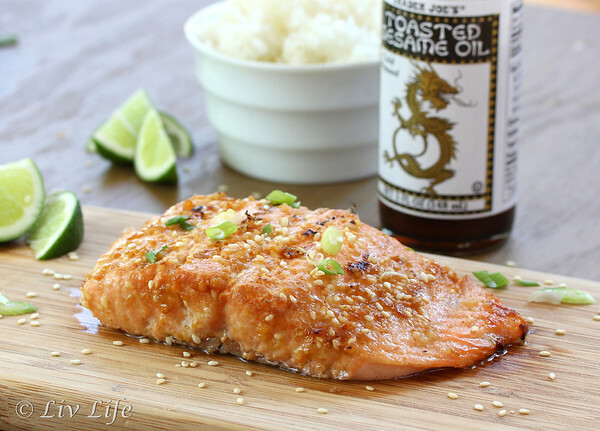 Asian flavors of Sesame, ginger and soy pair beautifully with tender salmon fillets for a grilled (or broiled) meal sure to please any family. 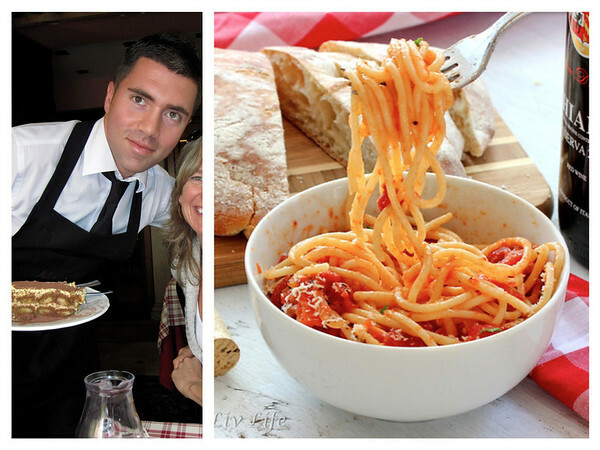 René in Rome and Past All'Amatriacana in San Diego... bringing the tastes of Rome home! 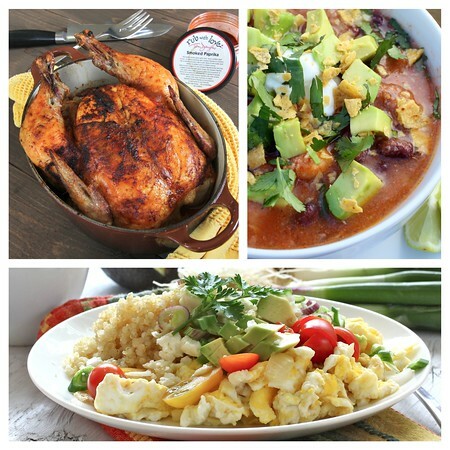 Rounding out our personal favorite meals in the Top 50, we have a regular at the Liv Life household, my warrior breakfast (or dinner) with Protein filled eggs and quinoa, Mr. Liv Life's favorite soup - Chicken Tortilla, and the kids all time favorite - Smoked Paprika Chicken. 2012 also brought a few of my favorite travel posts. With dreams of being a travel blogger when I someday have more time to travel, my rare current travel moments become even more precious. Lucky to have made our way to Europe this past summer, I enjoy perusing my posts which bring back a flood of happy memories. Aromas of different foods, visions of far away vistas, and the flavors of my own hometown open my horizons and allow me to share parts the world. 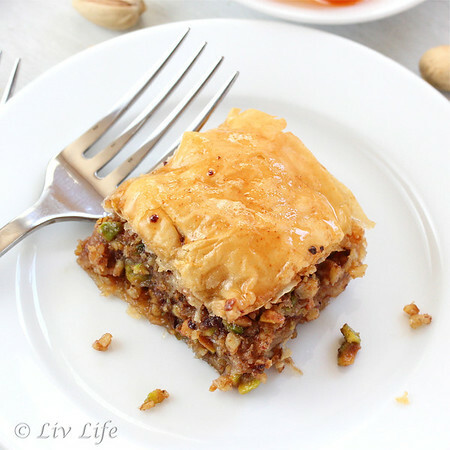 Baklava Dreaming of Greece - Liv discovered this sweet, honey soaked pastry in Corfu, Greece. Making our own version after arriving home seemed to extend our vacation if even for just a few moments. Etna Pasticeria, Taormina - The simple thought of this quaint and historic Sicilian town perched on the side of Mt. Tauro pops thoughts of the world's best cannoli to mind! A day in Lipari - Arriving through the Aeolian Islands, views of erupting volcanoes, stunning sunrises and incredible rock formations had us excited to arrive to Lipari. With its winding streets and the incredibly beautiful St. Bartholomew's Chathedral, Lipari became a favorite stop on our Med cruise. 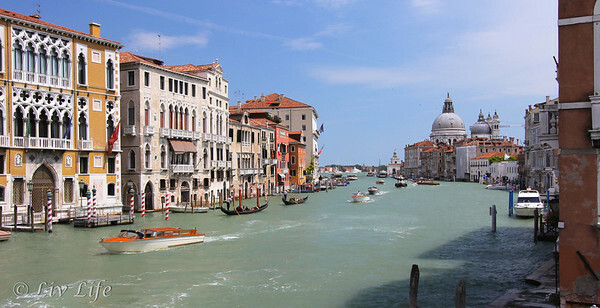 Visions of Venice - Venice... sigh. What can I say that hasn't already been said? Picture postcard views around each and every corner, this city on the water is a photographer's paradise. Filled with history and structure, the city provides endless amounts of stimulation for any visitor. Atlantis, Bahamas - And for pure fun in the sun, the Atlantis Resort provides unlimited fun for the entire family combined with fabulous dining to top off your day. Carlsbad, CA. 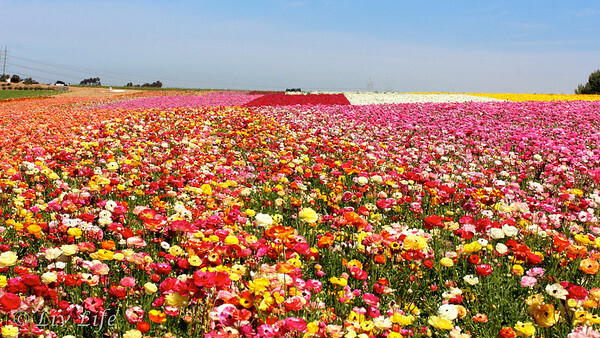 The Flower Fields - Stunning rows of brilliant colors just over the hill from my home let me know that spring has arrived in full force! And leave me living on vacation. As thankful as I am for the incredibly lucky life I've experience in 2012, my world has been touched by sorrow on more occasions than I care to recount. With friends battling illness, family battling age and dementia, and a world still suffering from the shootings in Connecticut (our post on Remembrance, Grief and Balance...), my heart shares all the love I have with hopes of easing some of the sadness that has touched this world. In particular, our prayers stay with a family friend who recently lost their beloved wife and mother... the sweet and most special Courtney. Crossing our path in Europe, Courtney and her husband touched our life in a way that will never be forgotten. With shared meals and new experiences, our days together will forever be held tight. I'm ever so thankful for the time we had together, just as I'm filled with sorrow with the loss of this beautiful lady. Wow---I remember some of these great pics and great food and great adventures! Hope you had a wonderful holiday! My favorites are your travels, that way I get to live through you. Happy New Years to you and your family, I'm looking forward to seeing what you bring us in the New Year. Blessings to you in 2013. Every ordinary day is extraordinary. Kim, a lovely post with so many mouth watering and beautiful recipes! I've loved getting to know you and your family a bit over the last year. Many blessings to you in 2013. Happy New Year Kim! LOVE LOVE LOVE all your pics and recipes. You inspire me. Happy New Year!!! 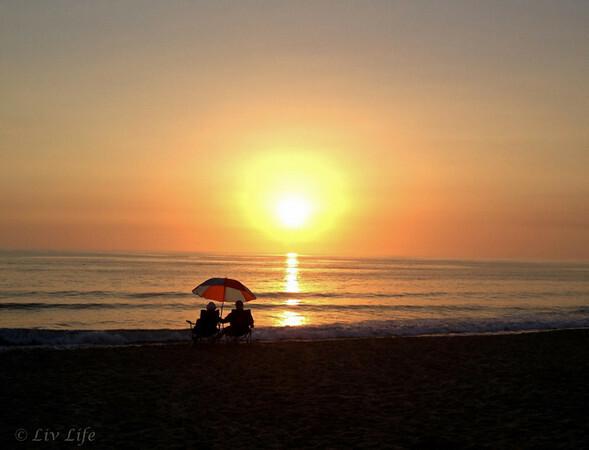 Your travel posts are my fave too because I wish I could do way more of it! What a fun look back on what was obviously a wonderful year. I find looking back on my blog stats similar to looking at old vacation photos in the sense that it brings back lots of happy memories. Happy new year! What a great look at your year. Pinterest is awesome and wow on those strawberry shots. I like your personal faves too gotta try those out for sure. Have a great year Kim!! What wonderful places you've traveled to this past year! That's something I hope to be able to do more off in 2013. Wishing you a very Happy New Year!